Bill Smith of Lexington, KY joined the team at Lexington Center for Integrative Health in November of 2016. 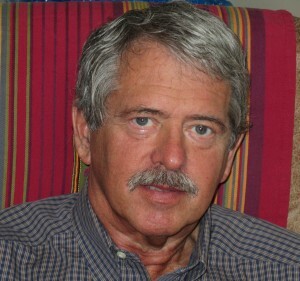 Bill has been providing natural and holistic health solutions for people in central Kentucky, as well as across the United States, for many decades, and brings a wealth of knowledge, information, and experience to the LCIH effort. Bill’s love for natural health began as a young man with a love of nature, nature adventure and a passion for mountaineering, accompanied with a recognition that, within these activities, ultimate health was wise and even critical to survival at times. While ascending majestic, natural formations, with no rapid access to doctors or hospitals, even apparently minor issues such as an ear ache or upset stomach could result in life-threatening situations. At the age of 25 years, Bill took his first course in an alternative health discipline, and from there became a lifelong and passionate student of healing, taking one class after another to expand his growing expertise and information base in areas of natural health. From this first course in Reflexology, he continually sought out the highest levels of expertise in many various areas of study, and has spent time studying with health professionals such as Dr. John Brimhall, Dr. Robert Marshall, Dr. Jay Holder, Dr. Richard Versendaal, Dr. Ralph Macasalin, Dr. Jack Roberts, and even specialists in Europe. Even with all this top-level training and experience, Bill still says that his favorite teacher is the thousands of clients that he has seen through the years and the ones he has yet to see. He considers what he offers as a collaborative effort and journey that he takes with each client that chooses to work with him, where learning is part of the result for the client as well as for himself. At Lexington Center for Integrative Health Bill will be using Biofeedback technology that measures the cellular response to cellular energy frequencies presented to the body. The equipment helps to categorize points of interest, or cellular stress and imbalance. He then filters this information through, and analyzes it with, his 40 years of training and experience in health and healing and creates a personalized approach toward optimal health for each individual client.